We are 2 generations of a family-owned business. 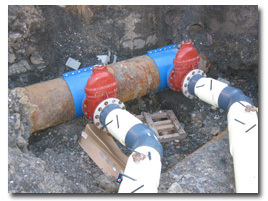 We have a strong team that specializes in the manufacturing of Tapping Sleeves and Valves. We offer specialized and custom made products. Our products are manufactured according to your demands and specifications of your accessories and other products that are rare to find. We're committed to finding solutions to your problems and offering innovative products, fast service and competitive prices. manufacture products that meet your special needs!